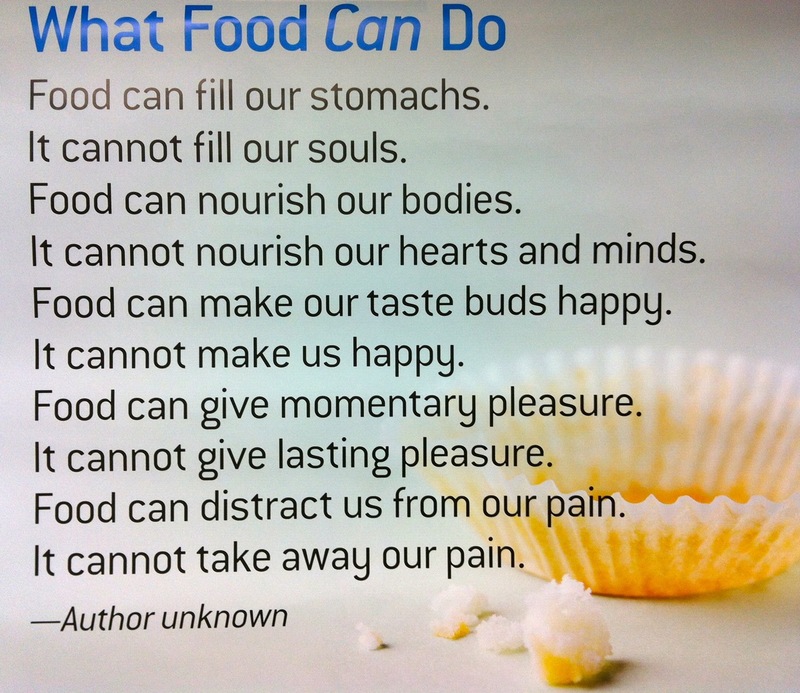 Wow, this week’s topic in my Weight Watchers meeting sure hit home…not just for my members, but for me as well. The topic was being kind to ourselves and how easy it is to beat ourselves up when we think we have failed. We talked about how we tend to turn to food when things turn ugly…we skipped the gym, we made a bad decision, we’re feeling depressed, we’re celebrating, etc. I have to say it was my best meeting so far. It was the kind of meeting that really made my members – and myself – think, dig deep into the heart of our feelings and so much more. Yes, some of my meeting rooms were awfully quiet this week, but I didn’t mind. I could almost see the wheels turning inside my members’ brains. I loved it. Sometimes, we touch on the surface of our eating problems or we just give tips on what we can do to pump up our exercise or change up our food, but sometimes, we got to get down and dirty, we have to get to the nitty gritty of our food issues. And that’s what they are. Issues. At the end of the meeting, I read a saying – the author was unknown – about what food CAN do for us and basically what it can’t. It was AWESOME! Which, is the reason I am sharing it with all of you. My hope is that it hits home for all of you, like it did for me…especially the last one! Please take this to heart! That last one really hit home to me too! I lost my mom 4 years ago and many times tried to bury the pain under food, it never helped! Next Next post: November 19, 2008…when it all began!